One of the most successful singers at a tender age, Justin Bieber is a Canadian singer and songwriter. Ranked 10thin top "50 Sexiest Men" Glamour's list in 2013, he has heart throbbed many mid-adolescent girls all around the world. He was listed among the most powerful celebrities in the world three times in a row by Forbes magazine in 2011, 2012 and 2013. For his debut album "My World" and other singles like "Baby" were great hits. My World, after the release, was soon certified platinum in the USA. On March 1, 1994, Justin was born in Calabasas, California, United States. His birth name is Justin Drew Bieber. His Nationality is Canadian. Pattie Mallette, mother of Justin Bieber raised him as a single mom by working a series of low paying office jobs in Stratford, Ontario, Canada. However, Bieber still is in contact with his biological father Jeremy Bieber who remarried, has two children. His paternal great-grandfather immigrants to Canada from Germany while his mother from a French-Canadian family. Bieber is the only child of Jeremy and pattie but he does have younger half-siblings through Jeremy Bieber, sister- Jazmyn Bieber and brother- Jaxon Bieber. 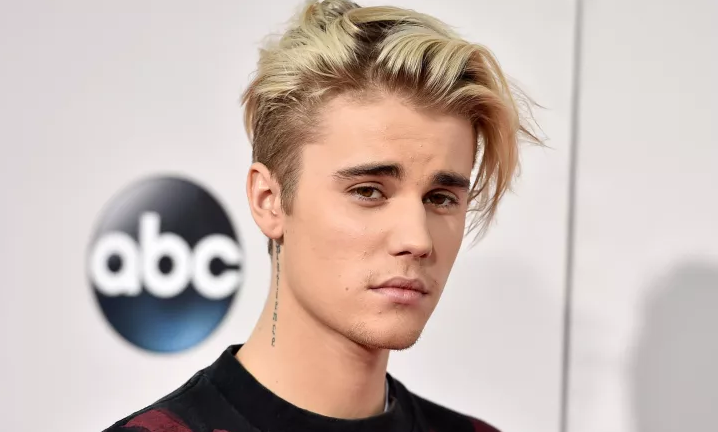 Bieber went to the Jeanne Sauve Catholic School in Stratford for elementary and then graduated high school in Stratford, Ontario from the St. Michael Catholic Secondary School in 2012. He mostly kept a musical yearning from a small age and taught himself to play musical instruments like piano, drums, guitar, and trumpet while growing up. He was also interested in sports like soccer, hockey, and chess. He also sang in various singing competition since childhood. By Profession, he is a singer and songwriter. Justin has a height of 5 ft 9 in and weight of 66 Kg. His hair color is Light Brown and eye color is Hazel. Beiber has always been a ladies man and has dated a surfeit of women since becoming a star. He dated Selena Gomez, 23, from 2010 to the very end of 2012 who is supposed as his first love. They also had a romantic reunion in November 2015 but didn’t really get together. He was then caught hooking up with Kim Kardashian, 36, for a few months but broke off later in 2015. Then, there were rumors of him dating Hailey Baldwin in mid-January, 2016 when they set off on a romantic vacation but they confirmed they weren’t in a relationship when they returned to the states. Presently, he was seen spending time with the American model, Baskin Champion. His singing career began when his mother posted a video of the young Bieber singing ‘so sick’ by ne-yo in a singing competition held in Stratford and placed second in 2007. She then continued to post his video on YouTube covering various other RnB songs which drastically grew his popularity. Eventually, Scooter Braun became his manager. He arranged a meeting with Usher, and was shortly signed by Raymond Braun Media Group (RBMG), a joint venture between Braun and Usher, afterward to a recording contract with established Island Records. In 2009, his first debut single “one time” managed to chart in the top 30 in over ten countries followed by his debut release, My World, on November 17, 2009, and eventually got certified platinum in the US. He became the first singer with 7 songs from one debut album on billboard hot 100. He released “my world 2.0” on March 23, 2010, which contained the international hit song “baby”. In 2012, he released his album “Believe” and his fourth studio album “purpose” on November 13, 2015, that both charted number #1 on billboard200. French DJ DJ Snake and Bieber released their collaborative song "Let Me Love You" on August 2016. He released a new single with Major Lazer and MO titled "Cold Water" on 22nd July 2016. Luis Fonsi and Daddy Yankee released a remix for their song "Despacito" featuring Justin Bieber on 16th April 2017. He, along with Quavo, Chance the Rapper, and Lil Wayne provided vocals on DJ Khaled's single "I'm the One" which was released on 28th April 2017. One week later, Despacito topped the charts in the US. He released the single "Friends" on 17th August 2017. In July 2018, he reunited with DJ Khaled in " No Brainer" co-featuring Chance The Rapper and Quavo. Justin earns nearly $100 million annually through his album sales, merchandise, touring and product endorsement. He has a net worth of $265 million as in 2018 and hopes to end the year with over $300 million. There are countless awards received by Justin Bieber to this day through his amazing work as a teenage artist. He has won one Bambi award in 2011 and two Brit award in 2010. He has won a total of 42 fans voted awards including 8 American Music Awards, 18 MTV Europe Music Awards and 16 Teen Choice Awards. He has also been nominated thrice for Grammy award and won it once in 2016. He was nominated 26 times for billboard awards and won it 12 times. Justin Bieber had always stepped forward towards giving help to others. He supports various charities and foundations like the city of hope, ALS association, children’s miracle network hospital and many more. He was even been honored with the Champ of Charity Award during 2014 Young Hollywood Awards in Los Angeles on July 27, 2014. He has also been taking care of many children suffering from cancer and helping them battle cancer. He also does numerous charitable donations to causes such as the Make-A-Wish Foundation and Pencils of Promise. He has always been an inspiration through his heart throbbing music. He is available in social media and has been successful to make a fan base known as beliebers with billions of fans all over the world. In 2017, he was prohibited to perform in China because of his bad behavior. On January 23, 2014, he was arrested for DUI (Driving Under the Influence), resisting arrest, and drag racing in Miami Beach. His mother became pregnant when she was 17 years old. Bieber’s parents are not married yet.